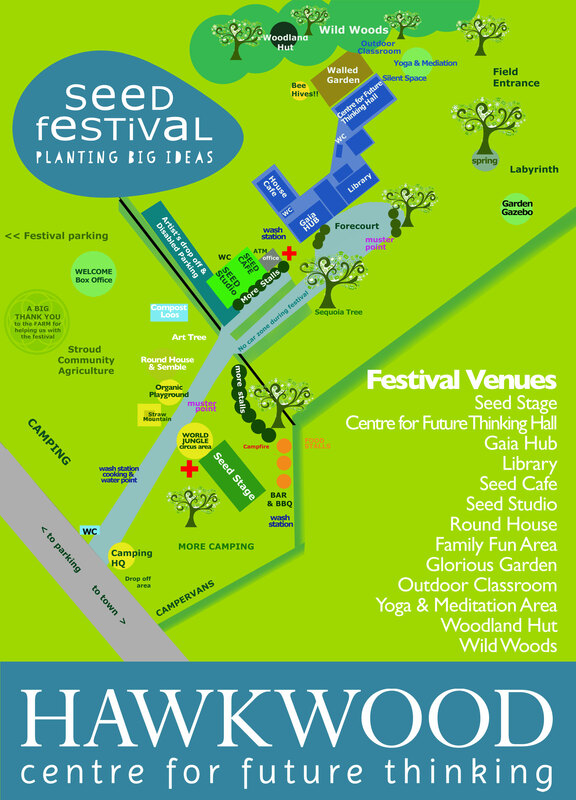 Seed Festival 19-21 July 2019 Planting Big Ideas! Hawkwood, nr Stroud. “This years focus is on Action, spurred on by the IPCC Report and Inspired by movements like Extincion Rebellion, we no longer have the luxury of just talking about it.” Musicians, Poets, Artists, Inspiring Eco Speakers, Movers and Shakers and YOU! Seed Festival inspires a more intimate and personal connection with our living world and our place within it.